Using Google+ for your online marketing efforts is probably one of the most effective ways to get your brand across a broader audience within your market. And if you are not leveraging the power of this platform, then you may be missing out on a lot of opportunities to expand your business. Having a Google+ account for your business or brand opens up a huge arsenal of Google tools that you can use, such as plotting your business on Local Google Maps listings, and be able to reach your audience through status updates on your Google+ profile. One of the emerging uses of Google+ for business is Google Hangouts on Air. This is different from the regular Google Hangouts wherein you can set up a time to have a group Hangout session, probably with friends or family, or with a study group. Google Hangouts on Air is slightly different. Instead of just having a small group session, HOA’s are broadcast live on a much larger audience – like the whole Internet, if your brand’s reach extends that much. It’s similar to holding a Webinar, but your audience is not limited to just 1000 people. And the use of this tool is absolutely free. 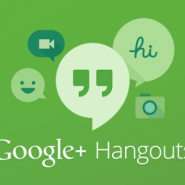 To start using Google Hangouts on Air, you need to have a Google+ account and a YouTube channel associated with the same Google account as your Google+. You can set a schedule for when you want to hold your event’s live broadcast, and invite as many people in your Circles. Once the event is set, this is publicly viewable on Google+, so even people who are not within your circles can see it. On the day of the event, you just simply click on the broadcast button, and anyone who wishes to join your public broadcast can simply do so. You don’t have to worry if there are people who missed the event, because the whole session is automatically recorded and saved on your YouTube channel. Just a few minutes after you hit the End Call button, you can sign in your YouTube account and optimize the vide title, description and tags for more Video SEO. Also, if you have a website, you can take the video embed code generated upon Event creation, and you can post that on a page on your site prior to, or even after, the broadcast. You can then perform other SEO practices and strategies to promote this page to create more organic traffic to your site. Google Hangouts on Air is a great way to promote your business, because even after your event is done, you can still use the video recording on your YouTube channel, on your Google+ page, and on your website, for remarketing efforts. Clearly, this is the future of Internet Marketing.